The hotel was established in 1851. 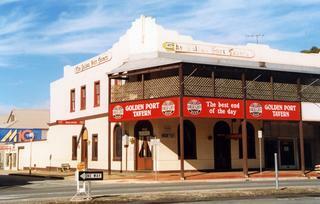 The hotel burnt down and was rebuilt in 1865 as the Globe Hotel. 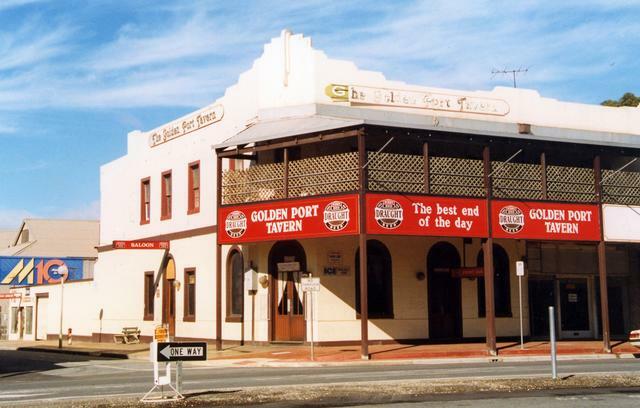 Renamed the Golden Port in 1981.